As you get settled and prepare for the exciting days ahead, we encourage you to take a moment to read through today’s edition of the ASA Daily News. 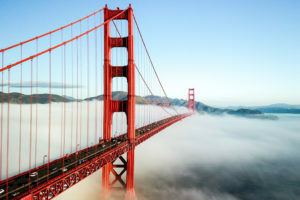 San Francisco hosts ANESTHESIOLOGY® 2018! Each morning, the ASA Daily News will be your source to review the day’s events and get a peek at what’s ahead. We’ll cover many of the cutting-edge sessions, highlight notable events and provide details about the things you need to know at the meeting. If your itinerary isn’t already full, be sure to browse all the educational sessions and events being offered this year. With more than 400 sessions, there’s something for everyone. And don’t forget to pick up a printed copy of the Meeting & Exhibit Guide or download the ASA My Meeting app — it’ll give you the most up-to-date information in the palm of your hand.